In the near future, Hong Kong will have a new insurance regulator which is financially and operationally independent from the government – the Independent Insurance Authority (“IIA”). The IIA will replace the current insurance regulator, the Office of the Commissioner of Insurance, which is a government department headed by the Insurance Authority. In October 2012, the Financial Services and Treasury Bureau (“FSTB”) undertook a three-month consultation on key legislative proposals for the new IIA. The Consultation Conclusions have now been published. FSTB aims to introduce a draft amendment bill shortly with a view to establishing the IIA in 2015. Conduct requirement of insurance intermediaries: It is proposed that an insurance intermediary should act in the “best interests” of policyholders during the selling process and when providing after-sale administration services (eg, policy renewals and handling of claims). Submissions were made by various industry bodies that this proposal is impracticable for insurance agents to comply with given they are engaged by insurance companies and are required to act in the best interests of the appointing insurer. These submissions were rejected and the insurance agent will be required to disclose any conflict of interests. Further, any term in any agency agreement which contravenes the “best interests” duty will be unenforceable. Intermediary licences: It is proposed that the IIA should issue five types of licences for insurance intermediaries. Despite submissions to re-categorise and consolidate the licences, the proposal is considered appropriate. Appointment of responsible officers: It is proposed that each and every corporate licensee and authorised insurer should appoint a responsible officer (“RO”). The ROs are required to use their best endeavours to secure observance of internal controls and procedures for conduct compliance by the corporate and its tied agents concerned. Inspection and investigation powers of the IIA: Similar to other financial regulators in Hong Kong, the IIA will be empowered to enter into business premises to conduct inspections, to make enquiries and have access to business records. If a person is convicted by the court as a result of an IIA investigation, the court may order him to pay the IIA the whole or part of the cost and expenses of the investigation. Disciplinary sanctions: The upper limit of pecuniary penalty is proposed to be the greater of HK$10 million or three times the amount of the profit gained or loss avoided by the regulated person as a result of his misconduct to give it adequate deterrent effect. A person who is aggrieved by the IIA’s decision on disciplinary sanctions may appeal to the new Insurance Appeals Tribunal, which may confirm, vary or set aside the decision or remit the matter to the regulator with directions as appropriate. Levy and fees: The proposed funding structure is to impose a levy of 0.1 percent on insurance premiums for all insurance policies (limit of HK$5,000 non-life and HK$100 life insurance policies). The IIA will incrementally increase the levy in the first five years before reaching the target level of 0.1 percent. The other revenue sources of the IIA are licence fees from insurers and insurance intermediaries and user fees for specific services. The government would provide a lump sum of HK$500 million to meet expenses in the first five years. 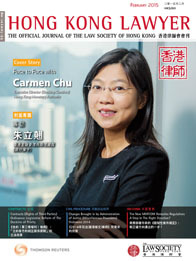 The IIA will significantly change the insurance regulatory landscape in Hong Kong and is proposed to be set up in 2015. The new law will particularly affect insurance intermediaries, who will now have the requirement of acting in the “best interests” of the policyholder, regardless of whether they are insurance agents or brokers. Further, the IIA will be armed with substantive inspection and investigation powers. Both insurers and intermediaries are well advised to prepare in advance for the upcoming IIA and the new regulatory regime.